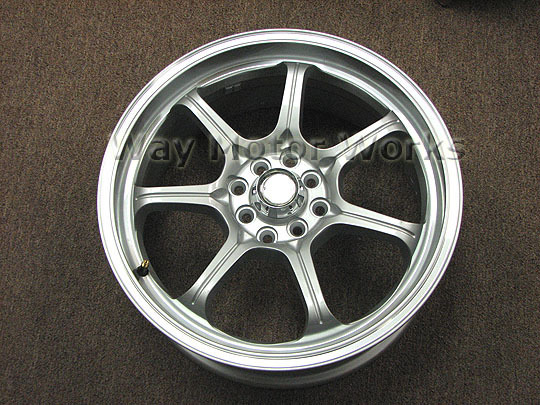 Set of 7 Spoke aluminum Wheels Silver in color. Brand new never mounted. These have 12mm wheel bolt holes so they will fit all 02-06 MINIs to install on 07+ MINI you will need a set of 14mm-12mm wheel studs which I do have in stock.